Click on pictures to enlarge.Text in italic is extracted from the Exhibition Guide 2010. By Tony Dean, Maidenhead & Marlow MRC.
" “A handbag line!” - Inspired by the playwright Oscar Wilde, a compressed version of the real track plan at Bembridge (IoW), this little Colonel Stephens? style light railway terminus is set in the mid-Berkshire village of Binfield, sandwiched between the towns of Bracknell and Wokingham. The line to „Little Binfield?, the imaginary country estate of the fictitious family of Lady Bracknell and her husband who built the railway, characters created by Oscar Wilde in his 1895 play “The Importance of Being Ernest”, supposedly branches out from the northern end of the real SECR/LSWR junction station at Wokingham to run just a couple of miles to „Little Binfield?, on the NW edge of the real Binfield village. As is common with light railways, it has an eclectic and somewhat haphazard collection of locos and stock. 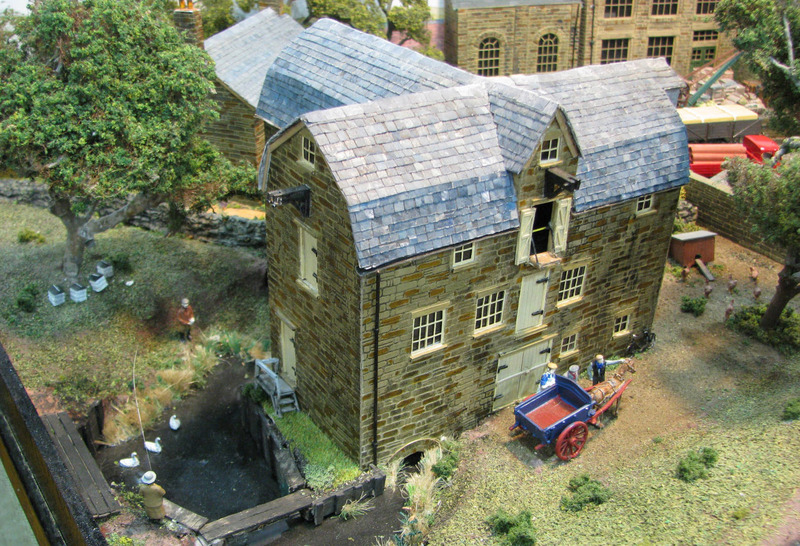 The characters depicted on the layout are those from the play, its creator, and real historic personalities of Binfield village in the late Victorian and Edwardian era, discovered from documents in Binfield local library. The layout is primarily designed to be run in the 1897-1914 period, but can also be adapted to depict more modern periods when desired. " "Birmingham Moor Street was built as an entry to the 2007 DEMU Minories Challenge to build a terminus station with three platform faces in 7' x 1'. The layout represents the terminus side of Moor Street station in central Birmingham – opened in 1909, Moor Street terminus handled suburban services to the south of the city, Leamington-Spa and Stratford-upon-Avon until replacement by the current through-station when Snow Hill re-opened in 1987. The station building and terminus platforms were restored in 2006 but, as yet, remain disconnected from the rail network – we understand that work will commence in 2010 to bring them back in to use. 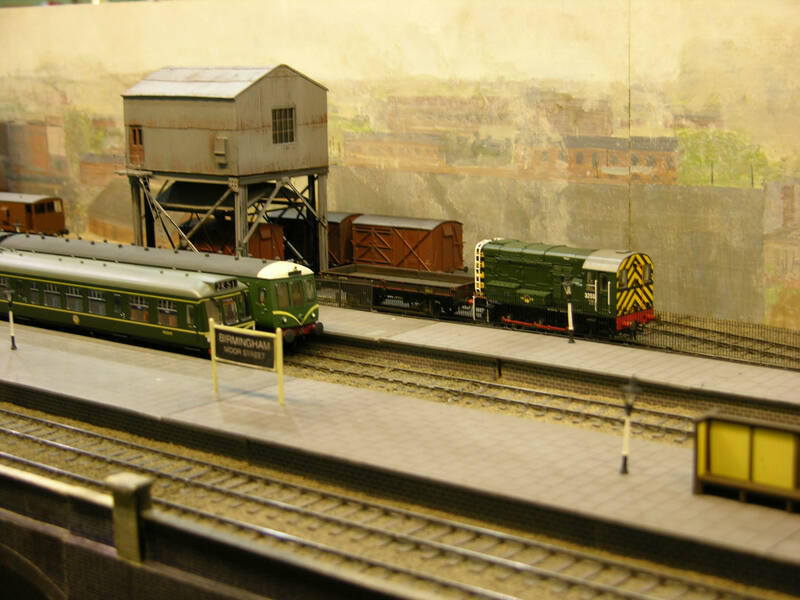 We can operate the layout in the transition period between steam and diesel traction or in the British Rail corporate era of the late '70s and early '80s. In the former era, most suburban services are in the hands of DMUs but some steam hauled trains are still to be seen. Freight and parcels trains reverse here to use the connection to the neighbouring goods depot. Later, suburban services are entirely in the capable hands of DMUs but we have imagined that the goods depot remained open so freight and parcels trains can also be seen. We extended the layout both length and width-ways for the Scalefour Society/DEMU Challenge to lengthen the platforms and include one of the three wagon hoists serving the lower level of the goods depot. 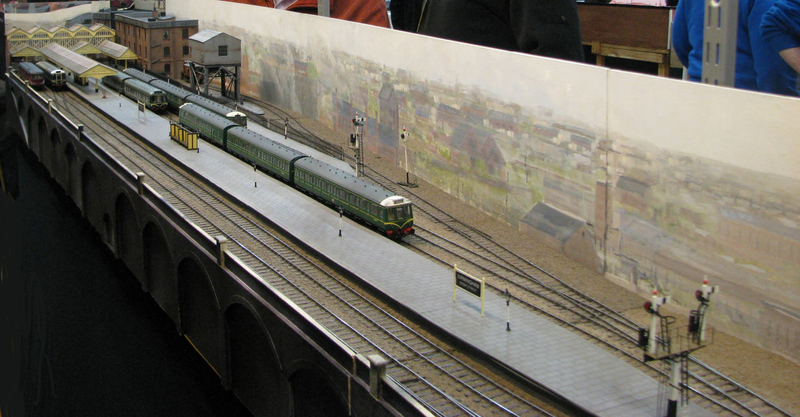 The layout has been simplified and shortened to fit the space available but the key features of Moor Street's station building and three platforms are modelled, including one of the traversers! Control is by Lenz DCC or by conventional DC. Working signals operated by model aircraft servos have been scratchbuilt by members of the WMAG, as were the structures and scenic features. We hope you enjoy our slice of Birmingham nostalgia." 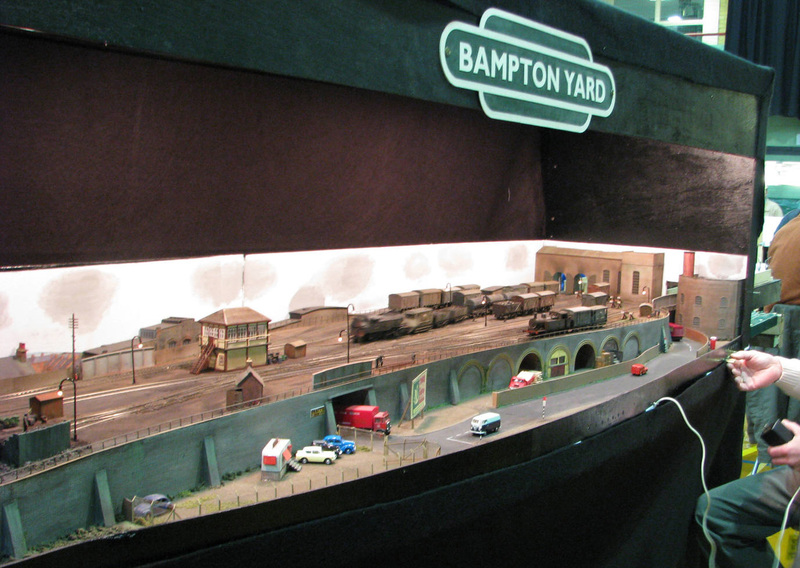 "Bampton Yard is a busy freight depot just west of London in a heavily urban area. 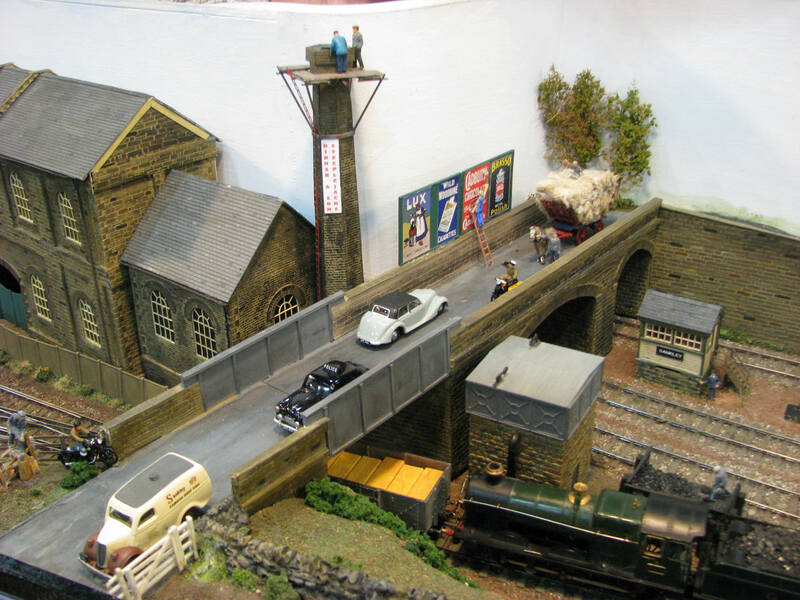 Trains arrive over the plate bridge to reception rod, loco is then off to the shed or runs back light. The train is then broken up by the yard shunter – either to the goods shed at the rear or the front siding to be made into other trains for the final destination. 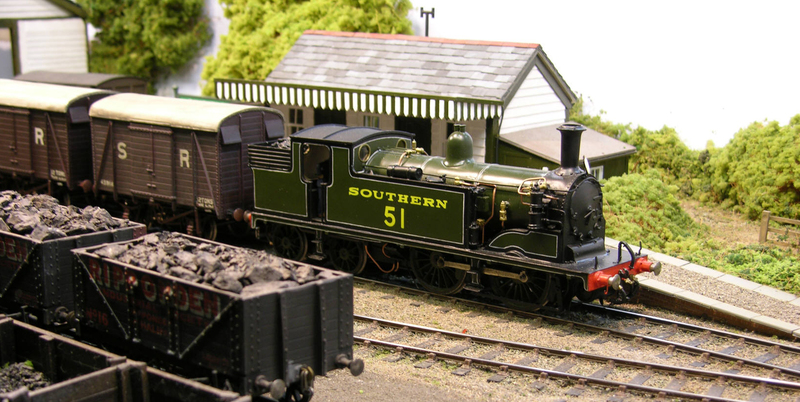 Due to Bamptons location locos and stock from Southern, Western and LMS are frequent visitors. In fact every day is different here. " 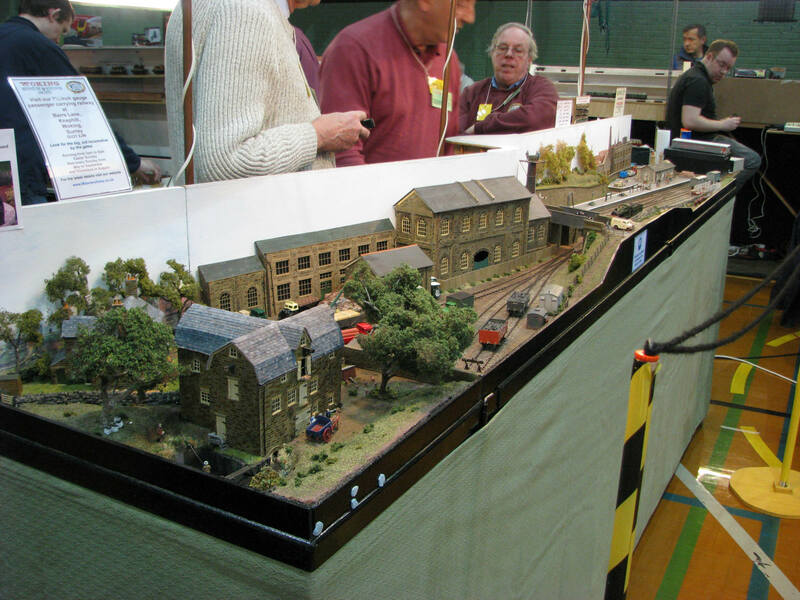 "Ingleton Sidings is an Inglenook shunting puzzle designed to sit on a standard home window sill or even an ironing board! 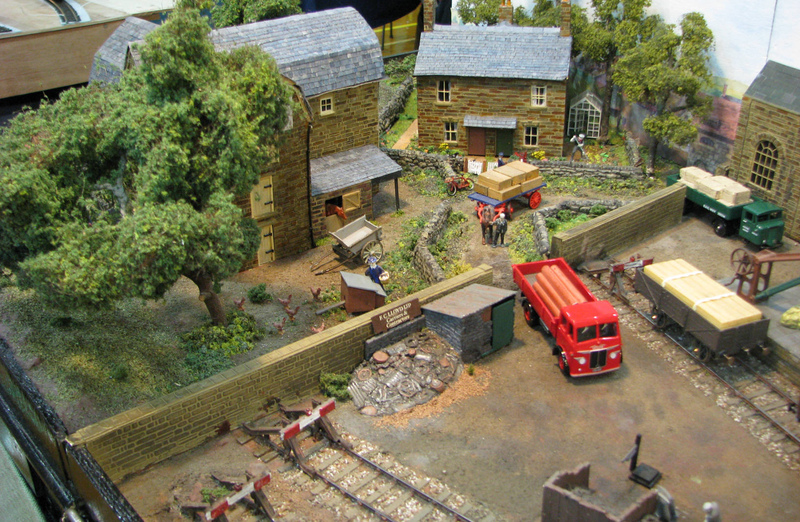 The layout was designed to illustrate in minimum space what can be achieved with a mixture of customised “off the shelf” products and basic stratchbuilding techniques. 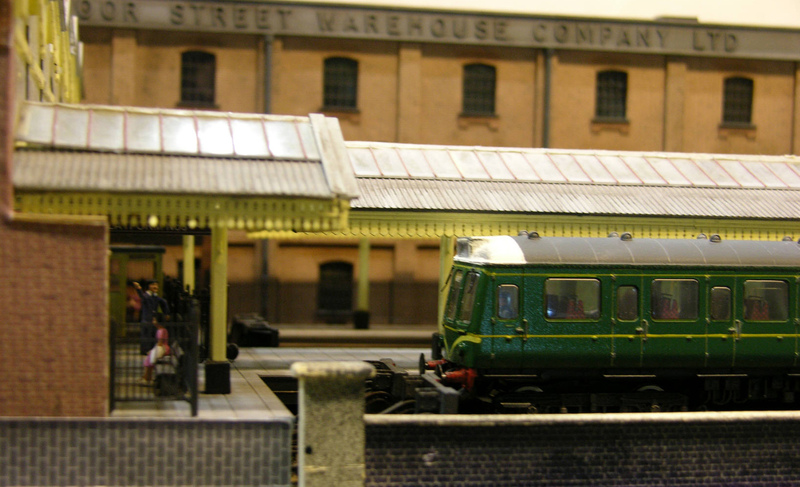 The location is fictional and set in BR sidings around the late fifties early sixties. Despite it?s size, the layout features Peco Code 100 track and turnouts with Seep point motors, 16v lighting and Kadee automatic coupling." By Martin Clark, Thatcham, Berks.
" The layout is based in Cornwall as a branch line which survived Beeching?s axe as far as Morwellham due to the china clay works. 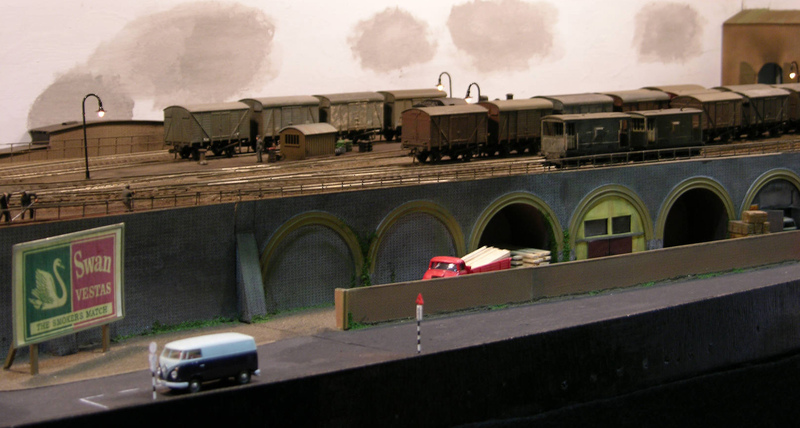 The china clay works sees CDA wagons loaded by diggers and VGA vans for palletised loads, whilst the station platform has a regular passenger services for the village some ¾ of a mile away. A goods siding which was once used by Cornish farmers now sees Railfreight wagons bound for Exeter Riverside Freight Yard and is also used for storage of engineering stock. The layout is DCC operated and most locos are fitted with sound." By Margaret Evans, Abingdon, Oxfordshire.
" East Street Wharf (GWR/BR-W) is a setting somewhere in the Midlands. There is an interchange shed for transfer of goods to rail, on the other side of the wharf coal and steel is unloaded. Road transport is on the increase as the wharf is being taken over by other industrial users. Track is by SMP, points are hand built and controlled by rod and slider switches. Loco?s and rolling stock are kit built or modified ready to run. All the stock is fitted with Sprat and Winkle couplings. To ensure the smooth running of stock, cassettes are used in the Fiddle Yard. 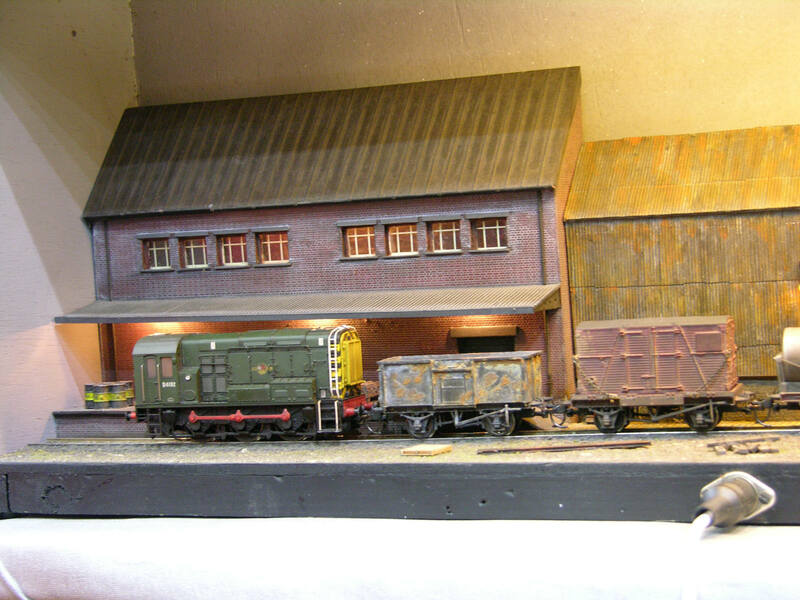 Buildings are scratch built from plasticard or card kits from Freestone Models Accessories, Warehouses are from the Cornerstone Modular series. (Suitably modified) The Layout is now operated by DCC using Lenz Digital-Plus LVZ100 and LH100 Hand Held controllers. 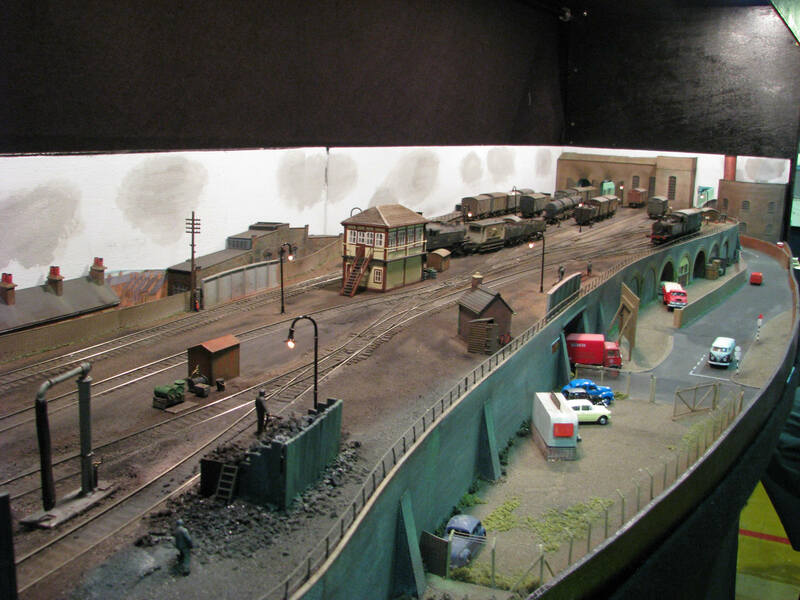 The Layout was featured in British Railway Modelling December 2006. If you have any questions please ask one of the operators who will be pleased to help. " 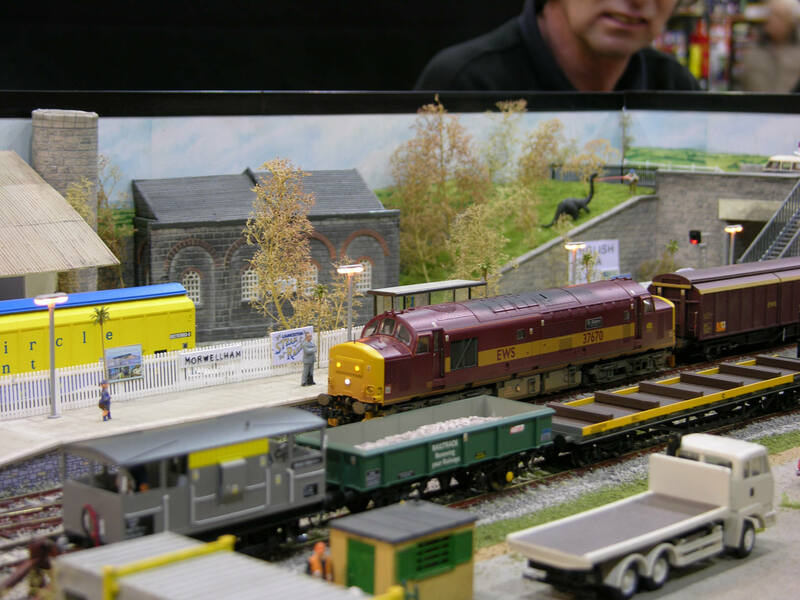 By Woking Miniature Railway Society Modellers.
" SANKLEY is a fictitious place a few miles to the north of Gillingham and east of Wincanton. It is a Southern station with connections to the Somerset & Dorset and the Great Western. The period is 1948-50 allowing the running of locomotives and carriages in four liveries: late Southern, the Somerset & Dorset had become London Midland & Scottish by that time, and Great Western, all waiting to be repainted, and stock already in the new British Railways colours. Goods stock could have come from anywhere. In our imagination this “might have been” town was in a prosperous agricultural area. 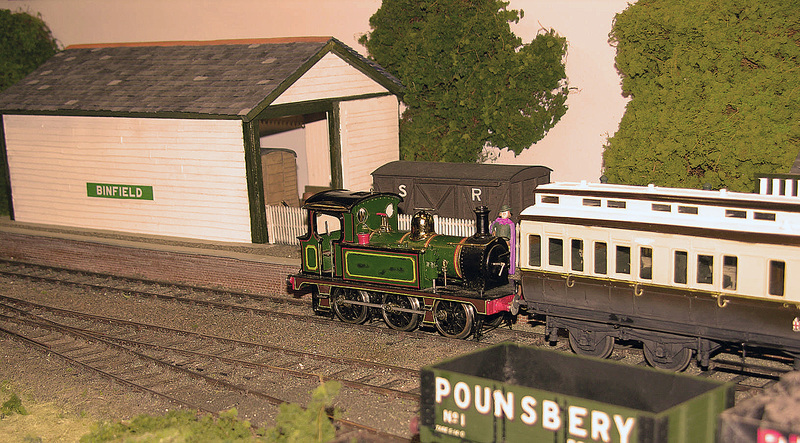 Freight movements reflect this but all trains are relatively short, being limited by the length of the station (and the fiddle yard behind the backscene). Passenger trains have to be no more than two carriages with push-pull and railmotors arriving quite frequently. Why the name "SANKLEY"? Our second layout began with the second letter of the alphabet, the next layout was Thirdlev, then came Ivley (note the Roman 4), and for this one we have anglicised the spelling of the French for five. 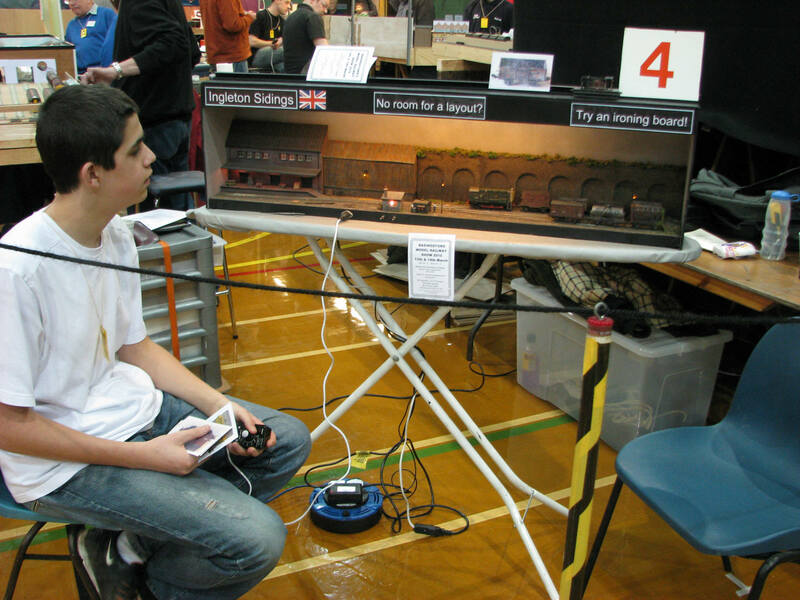 SANKLEY was entered in the Scalefour Society?s 18·83 Challenge held at the Scaleforum Exhibition in September 2005. Judging was "